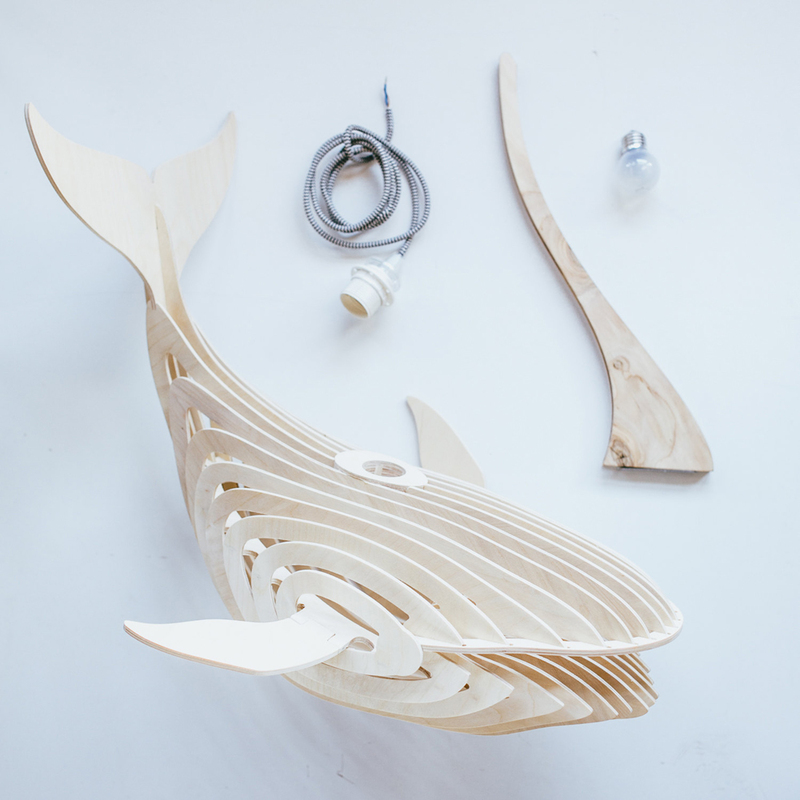 Designer Eduard Golikov has created an elegant wooden whale sculpture that doubles as an unconventional lighting solution. 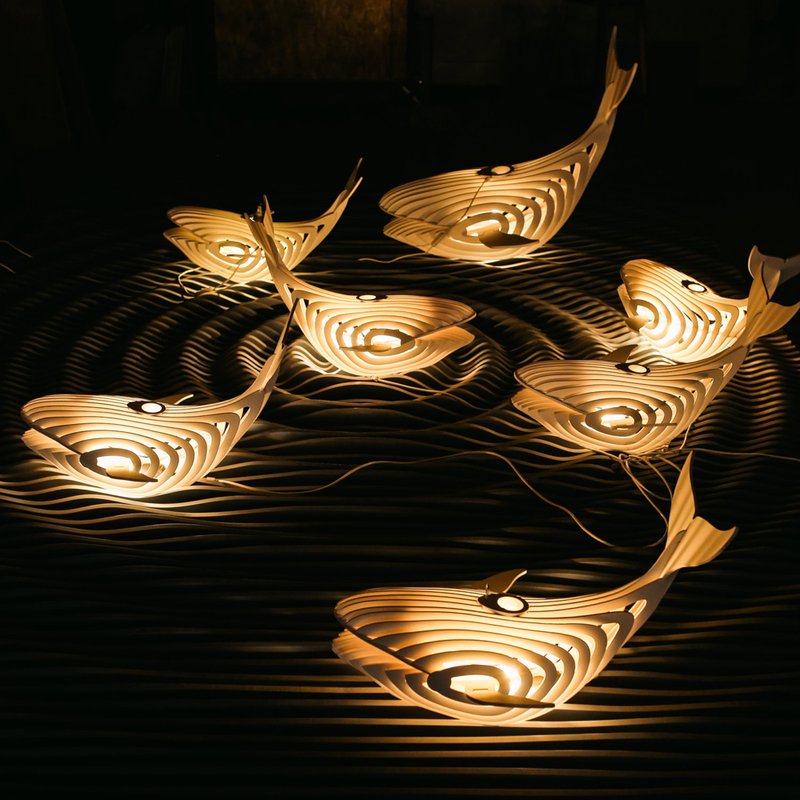 Crafted from birch wood, each piece is laser cut and assembled into a series of concentric shapes that form a sleek and stylized version of the beloved water-based creature. 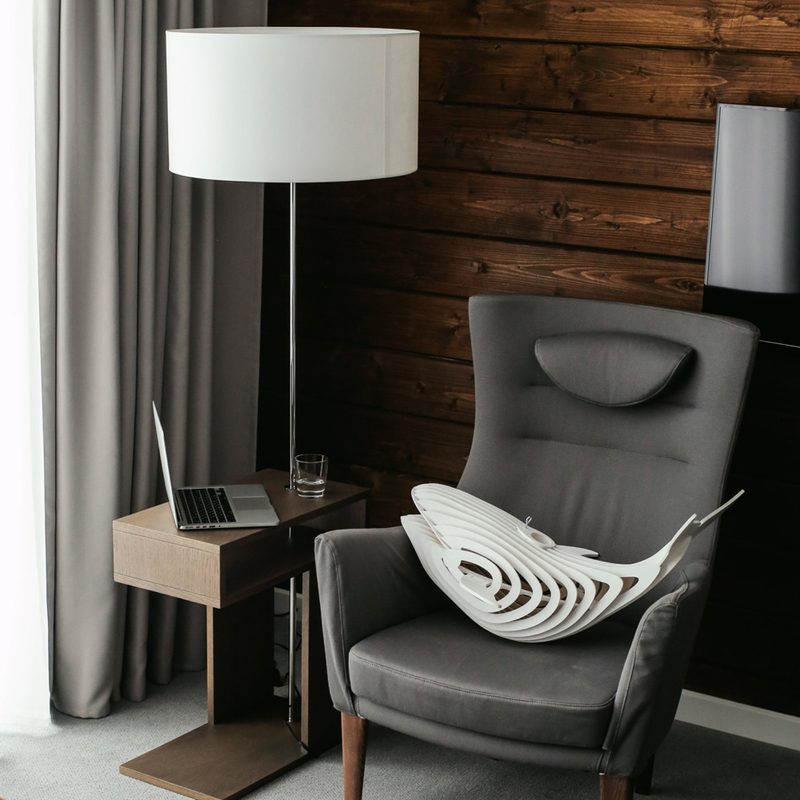 After its construction, Golikov coats the lamp in white paint and inserts an Edison bulb to cast a soft glow. 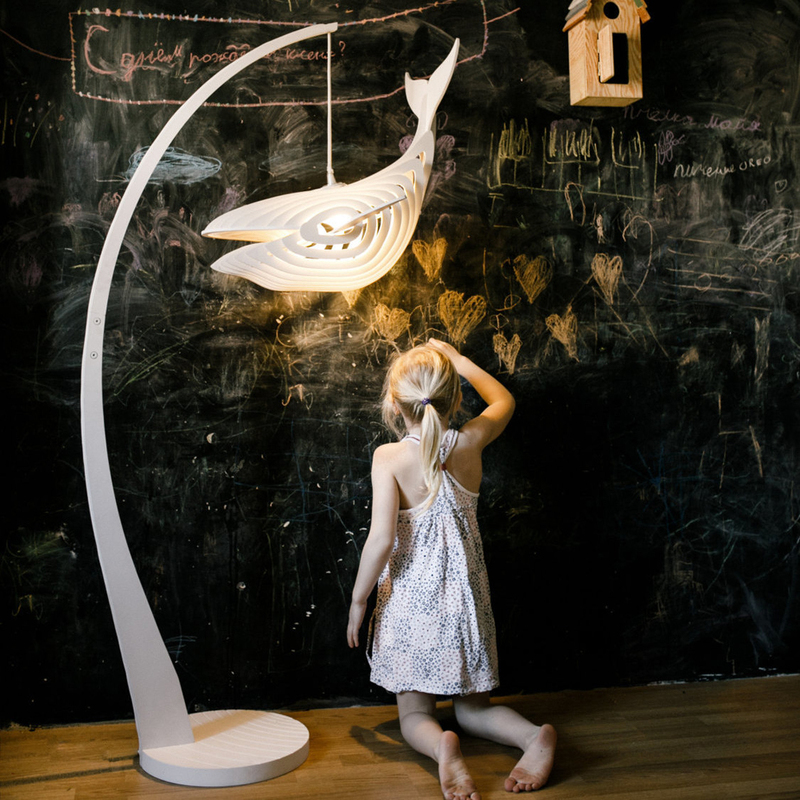 The illuminated whale can be displayed a couple of ways. 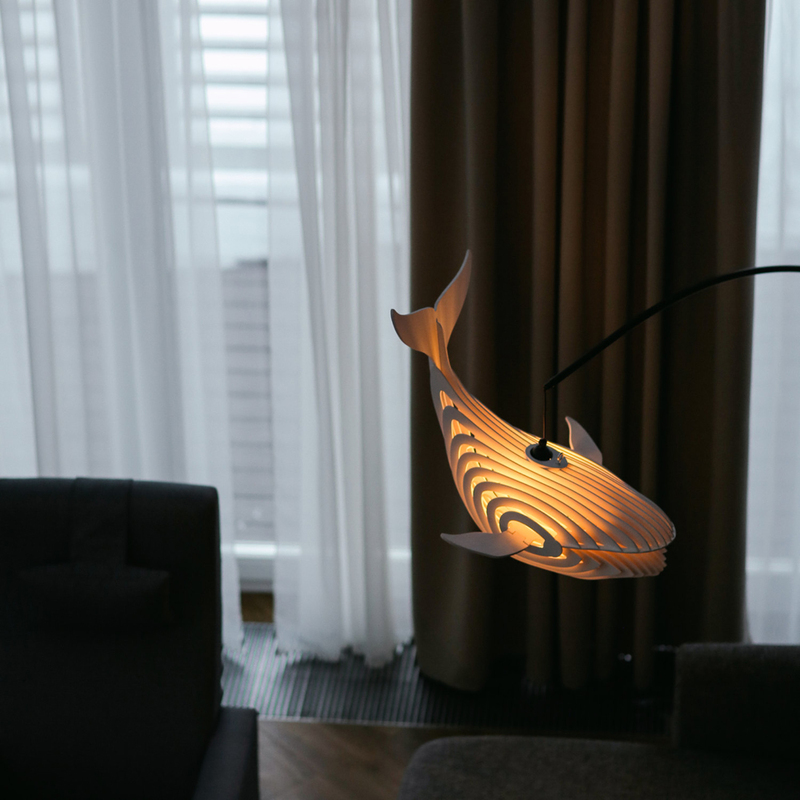 It can rest on a desk as a table lamp, but it’s also equipped with a suspension system—this allows it to float and seemingly “swim” in midair, adding a dream-like element to your space. Golikov sells these whimsical creatures in his Etsy shop.